Yikes..it's Friday. What happened to the last few days?? Why didn't I blog??? Kits, kits & MORE kits....but I'm winning the KIT-WAR!! I'm making good progress. The teaching is fun...kits are UGLY. The clear acrylic covers that fit studio490 stamps should be up on the website by Tuesday...He set a very reasonable price of $20. You get a front & back cover & the 3 binding rings too. Think of the opportunity to customize these. I've done 2 & they are really fun. When I find the update on the site, I'll post the exact page, to make your shopping easier. 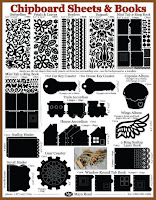 This is a plain version of the storage sheets for studio490 stamps. When my friend Jessica was in the ST booth @ CHA...she ordered my stamps, (THANK YOU) but she also wanted extra plain white sheets, with the scallops, for storage of her clear stamps. BRILLIANT IDEA. Since then we've had several requests, so Ted listened. These sheets should be up on the site by Tuesday too. They are huge...6 1/2 x 12 1/2... stamps can be stored on both sides, so each sheet will hold a ton of stamps. Again, a very reasonable price...he thought they would be $2.50. But...if they end up to be $3...don't shoot the messenger! I really like the idea of being able to write the company name on the scallop, put them together with the binding rings & you have a very good way to organize your clears. Simple & easy...for use @ home...or for taking to crops. Set 2 is in the works! Some images are on paper...some are still in my head. I'm taking a vacation day today. Hey...a girl HAS to shop!! Have a wonderful long holiday weekend. Debby Lewis sent me this layout. WOW! I was impressed with how many stamps she used! Debby also included all the ingredients she used for this piece. Can you just begin to imagine how much fun I'm having!?! LOL! Yes Debby...we can see that you had fun!! Lil' Davis chipboard word "family"
Thanks so much for sharing DEBBY!! Here's THE WATCH I told you about yesterday, made by Karen Morikawa. Click for a bigger look. I got this award from Sherry Cheever and also from Paper Patti ( Patti Behan). THANK YOU. I also got one from Jenna Franklin, a LONGGG time ago...and never had time to get that one done. YIKES!! Sorry! This award is for blogs you really like to visit. 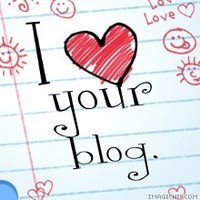 As most of the awards go, you are to nominate seven blogs with their blog links, email them, post this award on your blog with the link going back to the person who awards you the award, and then they nominate or award seven blogs. 1. Suze...not only for her creations...but because her posts are SOOOO funny. She always says that the only reason she has a kitchen is because her house came with one. She makes me laugh, because she is quite serious about that! I can tell! 2. Linda Cain...she's the queen of metal & doodling. 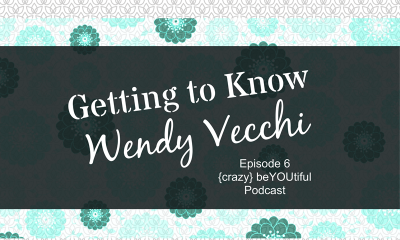 Tons of inspiration on her blog. Check it out. 3. Katie Watson...for her totally cool & unique style. She can pair red with anything & make it look sooooooo good. 4. Lisa Pace... because she is THE queen of classy glitter. Now she's on to something new. MOASICS, using a kit from Ranger. 5. Ali Edwards... I finally got to meet her when she demoed in Ranger's CHA booth. Just as I expected...She's TOTALLY cool & oh so nice. She's the originator of ALI DOTS, made with alcohol inks. 6. Claudine Hellmuth...another art chick with very funny blogging. Her new "sticky back canvas" from Ranger is a great new toy. It sure makes things so very convenient & quick. 7. tim...you want talent & inspiration?? For me...he's the ultimate! I'm happy to call him my friend. Due to popular demand...swivels continued! Ok...I got the message loud & clear that lots of you have the swivels, but haven't used them yet. For those of you taking my "Use Your Scraps Fragments Journal" class...you can use the swivels to personalize your journal. USE those charms & trinkets you've been hoarding. Get them out & ENJOY them...don't leave them sitting in a drawer. I used a swivel to "label" a piece of art I made for Maya Road's booth @ CHA. These were designed by KAREN MORIKAWA (aka keychain) and were the make & takes for the Advantus booth @ CHA this summer. These are to die for cool!!! Karen is a jewelry geuius. She wears THE COOLEST watch...with a band that she made from Idea-ology bits & pieces. Hmmm...maybe she'll send me a photo & I'll show you! So there you have it...4 ideas to jump start your creativity. Just get the swivels out & PLAY! 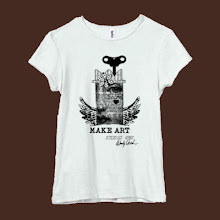 Debby Lewis will be the "guest artist"... with a really fun layout. Add a jump ring...and make a hanger! Just a little reminder to look at things for what they COULD be. It's so much fun when it...works as planned. Stamp (studio490, of course!) some grungeboard, add it to a Maya Road chipboard page, add the hanger...done! Keeping it short today. I've got LOTS of kits to get done for upcoming classes. Anyone want to help?? Look what she sent me yeseterday!! This beauty is made from the "Art by the Number" set, from studio490. Judy said she challenged herself to use every stamp in the set. Looks wonderful...doesn't it?? 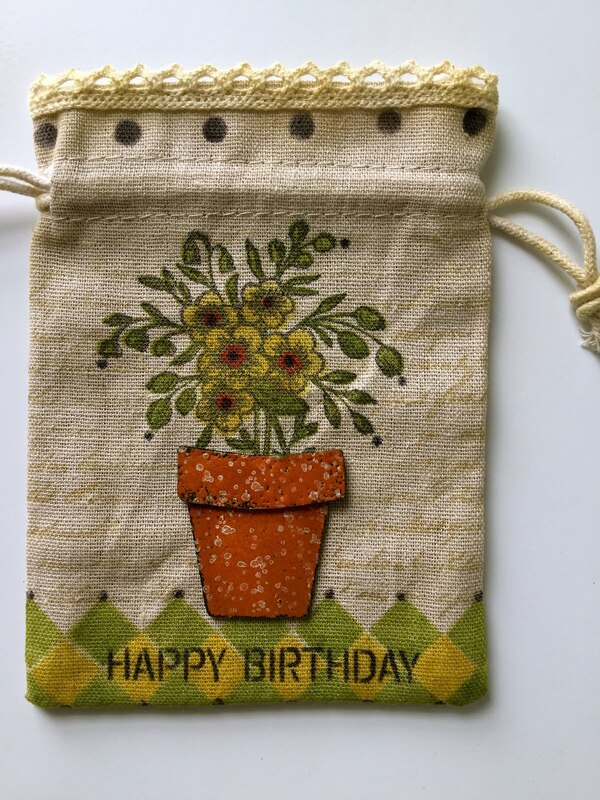 I LOVED the idea of using the corner stamp as a flowerpot! I've used it as a roof for a mini house and also as wings. I thought this was really a GREAT idea. Thanks so much JUDY, for sharing!! If anyone has some art to share...we'd love to see it. ps...the "art by the number" set is in the 8.3 supplement, page 13. I guess all the Stampers Anonymous links I posted before just took you to the main site. SORRY! I'll try to be more specific with exact page numbers. ANYTHING...to make your shopping easier! THANK YOU ALL for all the posts & emails about being a cover girl. Believe me...I'm counting the days 'til the October 7th release! As you could see, Ranger made himself comfy for the photo shoot. He got TONS of fan mail. For those of you who asked how I got him to stay put...FRIED CHICKEN. He loves it & he actually will sit like a dog & beg for it. Too funny! A little talk...I've been meaning to tell you this for a long time. When I started teaching, a gal in class told us this story about being safe. She had used her heat tool for a project and left the room to take a shower. Somehow...her project fell over, right onto the switch, turning the heat tool on...which in turn started a fire on her worktable. She arrived back into her studio to find a pretty big fire. Luckily she only lost her table & a bunch of art supplies...not her whole house! So...the moral of the story...BE SAFE!! UNPLUG your heat tool when you leave the room!! Same thing with an iron...don't take a chance! The Maya Road design team was asked to make a tag for the monthly consumer newsletter. We were asked to add our name & a fact about us. And here's the instructions & ingredients...I added Maya Road product numbers to assist with your shopping...NEEDS! 2. Adhere the paper to the base & pen stitch around the edge. stamp (studio 490), using Jet Black Archival ink. Accent with doodling. 5. Adhere green scrap paper behind the heart. Stitch 2 jewel pins (TK022) in place, using black thread. 6. Stamp the scrolls (studio 490) & accent with dots from a glaze pen. (Sakura). 7. Add a strip of double stitched green velvet (DS965) above the ruler stamp. 8. Glue initials, heart & leaves in place. 9. Add 3 black felt blossoms (TK982). 10. Add a few stamped butterflies (SMP851) and some jewel flowers (TK985). I added some fun mini brads to the flower centers. 11. Hang with a loop of the double stitched green velvet ribbon. 12. Sit back & ENJOY! Here's the link to the newsletter if you missed it. There are some really COOL tags from the other members...each with a unique style. And as a bonus...there are instructions for all of them! Well...not exactly, but my STUDIO & Ranger the cat are!!! This is the secret that couldn't be told...BUT...today I got the word that I could finally share this exciting news. Take a look!!! Click on the photo for a really big look! Then...the story got better when it was considered for the cover. And the worse part??? KEEPING MY LIPS SEALED...geez...it about killed me! So...we had a conference call...then a professional photographer came...and above is the result. The process was very cool. He took photos, we emailed them to Larissa @ CPS. ..and ended up with this shot. The photos were tricky because the room has 5 windows & 4 skylights. The lighting for me, as an artist, is perfect, but from a photography point of view...not fun to deal with. The shadows changed by the minute. But he did a great job & I'm beyond thrilled with the photo. The photographer is Jake Krancic. He's an amazing photographer & all around GREAT GUY!! 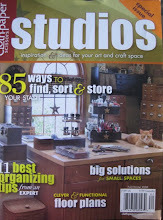 The first issue of STUDIOS was such a huge success that they were bombarded with requests for a second issue. It is loaded with great photos and TONS of tips for organizing. If you haven't seen it...it's a must have. I guess we'll see when this gets released on October 7th. I'm anxious to see what's on the inside. I sent several room photos & some closeups. 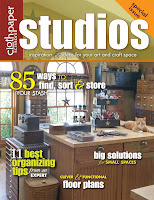 I'm expecting LOTS of great photos from other studios & more organizing tips too. Floorplans, inspiration & MORE!!! This TOTALLY blew me away!! 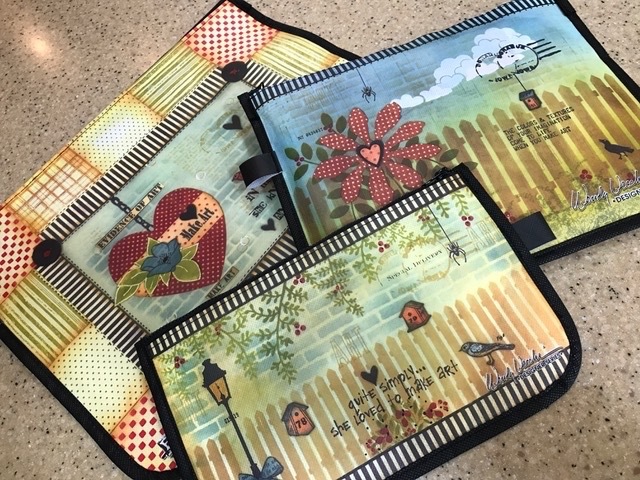 Patti Behan, Ranger's Marketing Co-ordinator, made a wonderful You-Tube video using studio 490 stamps & a new fun technique. The technique combines Ranger's new Snow Cap White pigment ink and my favorite distress inks. These 2 inks can be used together to create a very fun pastel effect. Use the white pigment & any color of distress ink...They all work. Even the Black Soot!! And...Vintage Photo is SOOOOO cool for backgrounds. Stamp in the white, dry with a heat tool, apply the distress ink & watch the magic happen. TRY IT!! Patti also had some GREAT tips to share. I had no clue why I would need the Fiskars Stamp press. She explains that. She also has a GREAT idea for the project sheet that comes with each studio 490 stamp set. And...I was REALLY impressed that Patti used the poinsettia stamp...NOT as a poinsettia...but as an every day flower. I was wondering if anyone would SEE the possibility there. PATTI DID!! You can use any color and it works for any occassion. That's Patti's card @ the top of the post. OK...get going...check it out on Patti's blog. Let us know what you think! And, as you can see...SUCCESS!! I used the #2 setting & the folder went thru just fine. Just a little Black Soot lightly swiped over the embossed area...COOL! The dust can stay for another day...embossing is FUN! Kathy B...I see now why you already do!! And a warning...anything that's not mobile in studio 490 has a good chance of being run thru the pasta machine. Beware! 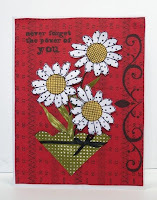 Here's the FIRST project that I've seen...made with studio 490 stamps. COOL!! Sudie Alexander, from South Carolina sent this yesterday & made my day! I LOVE the colors...love her layout & I LOVE how she used the ticket. It's interesting that she used it for journaling. I don't think I would have thought of that. Take a look...PERFECT for her story! Here is a layout using the ticket to art set. It is more bright and shiny. The picture was taken by Elise Wisener on our CHA trip. The papers are by Sonburn. Ribbons by Maya Road (whom I love!) ...hmmm...me too!! ha! Stamps by Stampers Anonymous, Studio 490 collection. Sudie...Thanks so much for sharing your ART!! Since you were THE FIRST & so kind to share...I'll send you a goodie package!! Send me an email with your address & I'll get it out to you!! Please leave a comment & let Sudie know how much you enjoyed it...thanks! I see a MAJOR shopping trip coming! WOW!!! Thanks so much for all the great Cuttlebug info. I do appreciate your input...I bet Rick doesn't...oh well...He'll adjust! Anyway...I WILL be shopping very soon....thanks to ALL of YOU! Sudie emailed me last night & studio 490 stamps have arrived in South Carolina. YIPPEE!! I'm so excited to see how they are used by others. I know what I had in mind when I designed them...but seeing other ideas will be fun. Don't make me wait too long. I am NOT patient!! Show me what you make with them & I'll post your photos here. Sharing is GOOD! Are you shocked that there is no vintage photo used here ??? Deb, co-owner of Maya Road makes us GREAT FREE templates for use with their products. It's another option for the inside. You can make it a calendar instead of a journal...or it can be an address book. Check out the templates here. There are a bunch of cool templates in addition to the 2 I mentioned. Think about this & get an early start on your Christmas gifts...You'll have fun and the recipient will be thrilled with a handmade gift from the heart. I was talking to some friends @ CHA & the Cuttlebug came into the conversation. I was the only one in the group who does not own this thing. AMAZING...(shopper that I am)! Anyway...I'm a stamper, not a scrapper so I never thought I really needed one. Do you LOVE it??? What do you use it for?? Should I buy the machine??? Or return the folders??? ps...the decision would be easier if it was BLACK...that's the OCD peeking out again! We had a very fun outing & then a great dinner. No cooking...no clean up. Works for me!! Just a reminder for those who ask questions. I read every comment & try to reply to the person who asked the question. However...if you don't give me a way to find you..I can't answer. If you don't have a blogger profile, that's just fine. BUT...if you have a question that you'd like me to answer...please send it right to my email. That way I have a way to contact you and you will get an answer to your question. The link is on the right sidebar... THANKS!! So...for Lori...the class scheduled @ Scrapadoodle in Peoria in September is the Ranger Distress Ink technique class. Since it's my first time @ the store, we decided to get everyone familiar with the inks & tools & how to use them. I use these inks for every class I teach, so that helps everyone with the classes that are scheduled in the future. The moral of the story here?? So with that thought...I'm headed to studio 490! The "use your scraps" fragement journal is indeed a class for this fall. YES...you actually bring your scraps to use...I'll bring the rest. Store owners will have all the info...SOON. 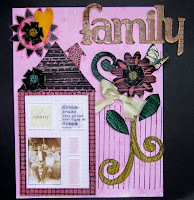 I'll be giving this class @ For Keeps Sake, The Crafty Scrapper and Frenzy Stamper...for sure. So...come join the fun! Additional info is on the sidebar to the right. Lisa V...looks like I'll see you in Arizona for that class!! I'm sooo happy that you like the journal...THANKS for all the sweet comments! Nope...they're not mini brads...Those little accent dots on the fragments are made with the black glaze pen from Sakura. Try it...you'll LOVE it, guaranteed~! I got a few laughs from your comments about the OCD...yep...I don't want an UGLY page in MY journal...trash it! I'm glad that I'm not the only OCD in the group! ha!! My friend Cecile is in Ohio @ the Stampaway convention this weekend. Anyway...she called yesterday to tell me that she stopped @ a stamp store (SHOPPING!! )...I think it's called Stamp Your Art Out...and they had studio 490 stamps there. She was sooo excited that she grabbed a complete stranger & made her look @ them... ha! I had to get the kleenex out after that call! So, they moral of the story?? And, incase you are wondering what happened here yesterday ...A whole new ADVENTURE. It was...very exciting...It's HAPPENING, I think...late September...maybe October?? VERY COOL...VERY TOP SECRET...stay tuned! Hey...it's KILLING me NOT to say a word to anyone...I got excited just typing this! This is the Make it Merry, holiday hanging class. 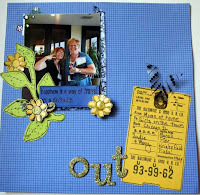 We start with a chipboard base, from Maya Road, add distress inks, grungeboard & lots of studio 490 stamps. You'll have the option to use different background colors and any choice of stamps, to make it your own! That's it for now...Next on the agenda...getting all set for my class tomorrow. Keep those comments coming...Like I said earlier...it's NOT fun to talk to myself! I hope your weekend is PERFECT! Ok...I'll admit it...I spend LOTS of $$$ buying supplies. Anyway, that doesn't bother me, but wasting supplies does. So, this "Use your Scraps Journal" class makes me happy. It's a fun class that helps to use up those tiny bits & pieces that you have leftover from other projects. Since FRAGMENTS are small, they are great for paper scraps & left over tiny portions of rubons. Have a few left over embellishments...but not enough for a large project?? You can USE them on this journal. This is a great size...just 4 x 4, so it's easy to carry in your purse, yet large enough for actually USING. I LOVE bound journals & HOARD them...but actually NEVER use them. Why??? remove the binding rings and add all the pages you need. It's SIMPLE & your journal is still perfect! We'll add a sheer scallopped page to the inside. 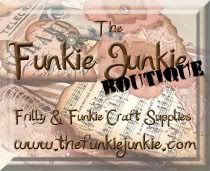 covers, sheer page, stamps, rubons & embellishments. Stamps from studio490 and Stampers Anonymous. Grungeboard, fragments and an idea-ology spinner on the front. By now I'm sure you know that I'm addicted to flowers. So, I designed this poinsettia for studio 490. Now keep in mind, I told no one about this & didn't show the stamp to anyone. Take a look at the Trinket jewel flowers Maya Road made...a PERFECT fit. And believe me...they give NO sneak peeks to the design team...EVER. Look @ these felt flowers they made. Could they possibly fit the poinsettia too?? YES...it's fate & another option for using the stamp and the flowers. TOTALLY...unplanned... FATE @ it's best. I LOVE it when things are a perfect fit! ANYWAY...this makes it all worth it. I got this email from Sarah today...she's a blog friend from Australia. So...it IS worth it!!! Check out Sarah's art...flowers, distress inks & grungeboard. It's outstanding!! Thanks Sarah...you made my day! Here's the page from the catalog, for those of you who couldn't find them. Sorry for not posting the last few days. I've been busy. REALLY...Scheduling classes, typing class instrucions, getting class supplies ordered...sending supply info to stores...and talking to store owners on the phone. I think I NEED a secretary. Anyway...enough whining for today. She didn't have the cost of the acrylic covers just yet, but as soon as she has the info, I'll let you know. And yes...they will be available thru the Stamper's Anonymous site and at your LSS too. I LOVE the border at the top of the pages. It's from Maya Road...it's their new chipboard sheets. They're 6 x 12 and there are 4 different styles to choose from. This one is from the "borders" set...& it has 6 cool borders included. They are just right for layouts, cards & mini books. Another must have is the petals & leaves sheet. As soon as I get a sample made...I'll show you how much fun that one is too. Add some Maya Road chipboard letters...some studio 490 stamps and a little grungeboard... done. This arting is fun stuff. And speaking of fun...check this out. Suze started a blog...FINALLY. She writes just as funny as she talks. Imagine that! Have a GREAT fun weekend!